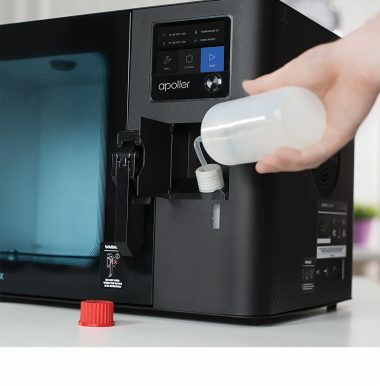 Zortrax Apoller is a post-processing device which smoothes down layers characteristic for items 3D printed in the LPD/FDM technology. The smoothing effect is achieved through vaporization of solvents that react with the thermoplastic used for 3D printing. This article summarizes all the information and best practices useful when handling the Zortrax Apoller as well as provides guidelines connected with the SVS technology. The device operates with the use of explosive vapors and irritant chemicals, therefore, refer to all safety recommendation included in the User Guide. How Does Zortrax Apoller Work? The device operates in a system called Smart Vapor Smoothing (SVS), thanks to which vapors of a chemical substance circulate inside the chamber to smooth down the surface of 3D printed items. Depending on the material type used for printing, the device uses either acetone or butanone (MEK). Vapors of the solvent circulate in the chamber in such a way that the smoothing effect is even and at the same time the model does not get damaged. 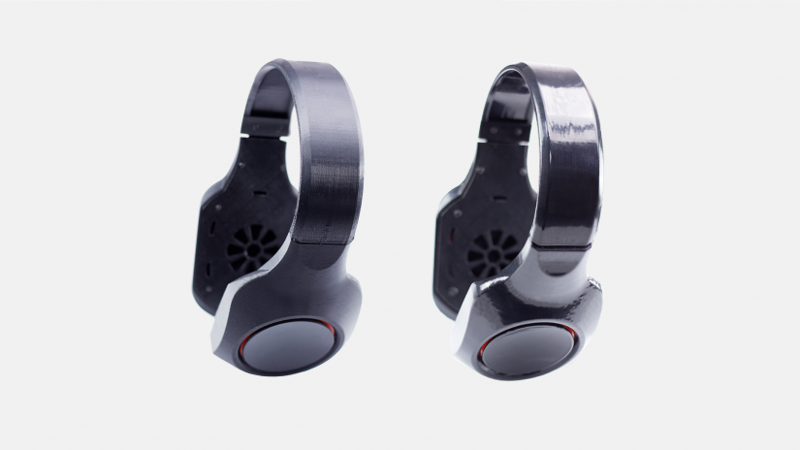 The device is capable of post-processing multiple models during one smoothing process. For environmental and safety reasons, the solvent vapors are effectively retracted and condensed in the cooling system so that the liquid can be regained and used for the next smoothing processes. After the device is turned on, users gain access to the main menu where it is possible to adjust several settings for the smoothing process: smoothing mode, type of solvent, type of model’s material and smoothing intensity. Once these settings are selected, the device starts the diagnostic procedure of the surrounding conditions and the degree of preparation for the smoothing process. At first, it checks the ambient temperature, whereas the user has to ventilate the chamber, fill the tank with solvent and close the chamber door. Each step is indicated on the list in the right side of the screen. Once all diagnostic activities are performed, the air from the chamber is removed to ensure tightness and other suitable conditions necessary for smoothing. Next, the device supplies the tray with the required amount of solvent which then vaporizes as a result of chamber heating and air circulation. The air circulation system enables even distribution of vapors concentration in the entire working volume of the device. These vapors have influence on the models’ surface for a certain period of time, and at the end of the whole process they are condensed. Once the first stage of condensation is finished, the device warms up the chamber and the reacted substance vaporize from the model’s surface. Next, the device starts the final condensation procedure during which the models are cooled to room temperature. Once the smoothing process is successfully finished, the models are ready for use. Be particularly careful when handling the device as it operates at high temperatures with the use of explosive vapors and irritant chemicals. Avoid situations that may lead to burns or interference in the device’s proper functioning. Place the device on a flat and stable surface. Do not leave the machine unattended during the smoothing process – check it from time to time to avoid potential failures. Turn it off once the process is finished. Keep the device away from heat sources, flammable materials, equipment emitting radiation, fire, humidity, water and other liquids. All maintenance activities as well as device operation require wearing neoprene safety gloves included in the Starter Kit. Wearing safety gloves is also advised while removing prints from the platform after the smoothing process. Observe all safety rules and follow the instructions displayed on the screen. Use only dedicated solvents in a concentration above 99% (acetone or butanone [MEK]). The solvent tank must be filled using the specially designed set delivered with the device. Do not pour solvent directly into the tray inside the device. The solvent level must not exceed the MAX mark on the solvent level indicator. Containers with solvents must be tightly closed and stored in a specially designated place. Do not inhale vapors that remain in the chamber after opening the door. Wear safety gloves and glasses while carrying out procedures connected with using solvents and smoothing models. The process must be configured according to the type of solvent poured into the tank. Once the process is stopped after the solvent has been supplied to the tray, the device starts the condensation procedure. 3D printed models can only be placed on a glass platform or suspended on the hooks in the grid delivered with the device. 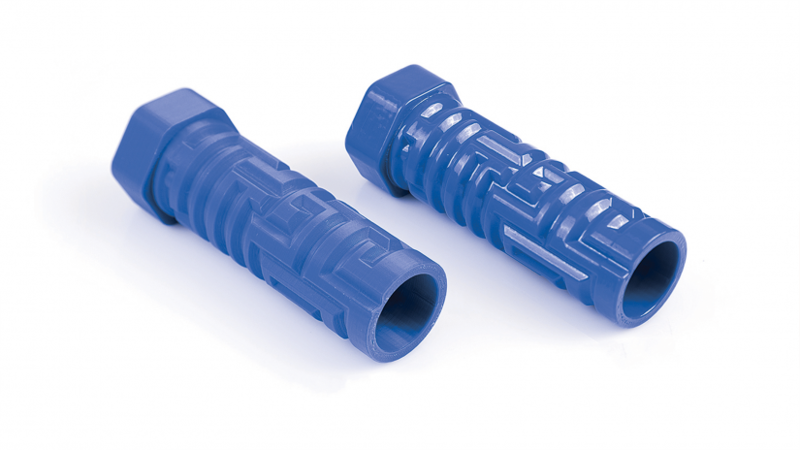 Smoothing can only be carried out using models printed with dedicated thermoplastics. If you smooth several models, keep appropriate distance between them (2-5 cm [0.8-2 in]). Do not smooth models that exceed the dimensions of the workspace as it may cause device malfunction. Do not smooth the same model more than once as it will have a negative influence on its quality. The device requires inspection and service conducted by the Manufacturer at least once a year. 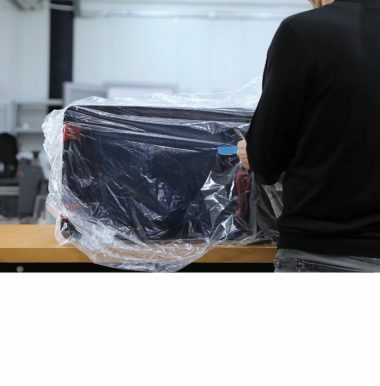 The first service is provided free of charge within one year after the purchase. Repairs of the device can only be carried out by the Manufacturer or the Manufacturer’s Authorized Service. It is strictly prohibited to repair the device independently. Here’s a short overview of technical terms commonly used in the SVS technology. The list below organizes and helps you understand all the terms useful while working with the Zortrax Apoller. a process of solvent vapors condensation, thanks to which it is possible to regain some part of the solvent. Moreover, condensation ensures safe conditions once the smoothing process is finished. a gradual process of warming up models and vaporizing a reacted substance from their surface. Next, the device cools the models to room temperature. 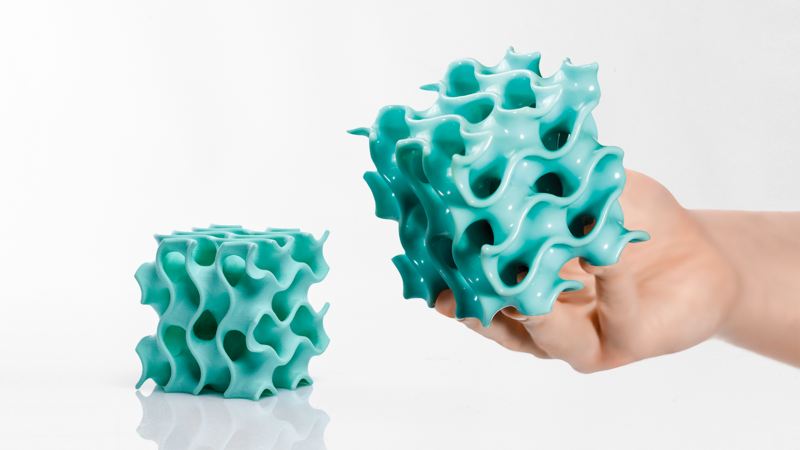 a 3D printing technology in which a melted material is deposited on a surface. This technique involves applying one layer of material after another in order to accurately form a computer-designed shape. The printer starts to print from the bottom and builds the object until it is fully formed. The model and the support structures are created using the same material. specially dedicated Zortrax printing materials which maximize the benefits of 3D printing. These thermoplastic materials are in the form of filaments wound on a spool. Each material has different properties and can easily be adapted to a wide range of needs and applications. Moreover, most of the materials can be mechanically or chemically post-processed. the most important part of Zortrax Apoller to which all components necessary for proper device operation are connected. It is the main printed circuit board that ensures electrical flow and communication between particular components of the device. The motherboard is placed behind the screen inside the machine. integral part of Zortrax Apoller on which a user places models that will be subjected to post-processing. The platform can easily be removed as well as inserted back into the device. the switch enables turning the device on and off. Next to the switch, there is a power outlet where you plug the power cable in. all mechanical and chemical treatments that influence 3D printed objects’ surface in order to make models look more interesting and attractive. These post-processing methods include, for example, smoothing, sanding, painting or gluing two or more parts together to create one model. the first few layers of material, which begin the whole printing process. These layers are always printed before the main object and have a larger area than that object. Once the printing is done, raft needs to be removed from the platform together with the rest of the model. Raft enhances the adhesion of the whole print to the platform and reduces the risk of warping. Before launching the smoothing process in the Zortrax Apoller, raft always has to be separated from the model. a method of smoothing the surface of 3D printed models that uses advanced algorithms controlling the concentration of solvents vapors, process temperature, pressure and in- tensity of vapor circulation. SVS technology helps achieve high quality and repeatability of the smoothing process, at the same time preserving model’s details intact. a set of tools and protective materials useful while working with the Zortrax Apoller. Each device is delivered with the full starter set, so that handling or maintaining the machine becomes easier and more effective. if your model has any overhanging or protruding parts, they have to be supported with special structures so that they don’t fall down. Without these structures, the model may lose its predesigned shape. The support is printed with the same material as the model. Once the printing is done, it is necessary to carefully remove the support by hand or using pliers. Before launching the smoothing process in the Zortrax Apoller, support structures always have to be removed from the model. the display screen placed at the front of the device, which enables fast and intuitive navigation through the menu. The screen also displays information about the current smoothing process and other information concerning the device. a process of liquid transition to vapors, which will be then atomized in the chamber, and finally distributed on models. The following table specifies Zortrax materials that are prone to the smoothing process in the Zortrax Apoller, compatible solvents and final effects of the surface finish. 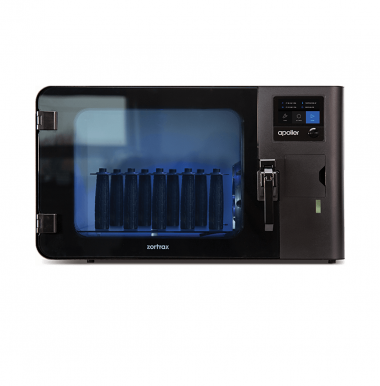 The Zortrax Apoller can smooth models printed on any FDM/FFF 3D printer. The device removes visible layers from objects printed with Z-ABS, Z-ULTRAT, Z-ULTRAT Plus, Z-ASA Pro, and Z-HIPS, or their third-party equivalents. The final smoothing effect is even, regardless of the number of post-processed models. The gallery shows several examples of models before (left) and after (right) the smoothing process.